CHARLOTTESVILLE, Va. (Reuters) – The man who ploughed his car into a crowd of counterprotesters at last year’s white nationalist rally in Virginia had every intention to kill, a prosecutor told jurors on Thursday at the start of his murder trial. 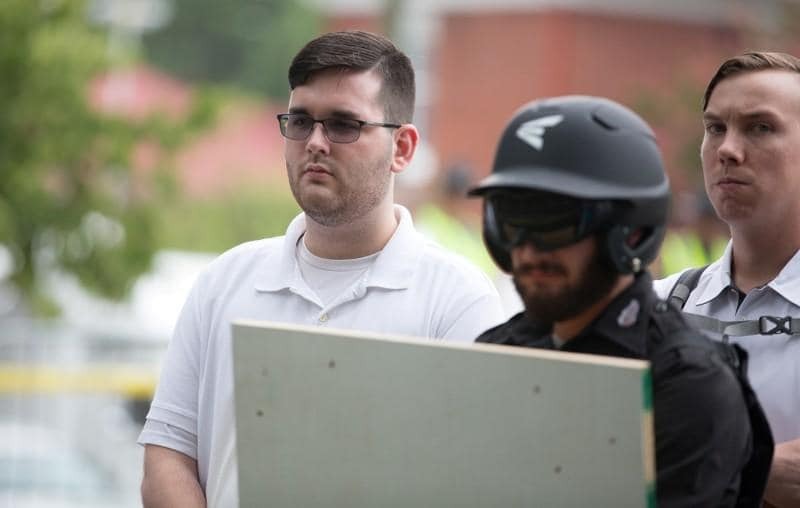 “It was wilful, premeditated murder,” prosecutor Nina-Alice Antony said in Charlottesville Circuit Court, where James Fields, 21, is facing a possible life sentence. Fields’ attorney, John Hill, said the Ohio man acted in self-defence after becoming frightened by the mass of people around his car. Heather Heyer, 32, was killed in the incident, which capped two days of chaos in August 2017 when hundreds of white nationalists descended on Charlottesville, home of the University of Virginia, to protest the planned removal of a Confederate statue from a public park. Two state troopers were also killed during the protests when their helicopter crashed. The “Unite the Right” rally followed a Friday night demonstration when hundreds of torch-carrying men chanted anti-Semitic slogans. U.S. President Donald Trump was heavily criticized for saying there were “very fine people on both sides” after the violence, seemingly equating the white nationalists with those who demonstrated against them. Heyer’s mother, Susan Bro, declined to return phone calls from the White House after Trump’s remarks. The bedlam left lasting wounds in Charlottesville, which has been forced to confront its own complicated racial legacy after the violence. But it also damaged the image of the “alt-right” movement, a loose alignment of fringe groups centred on white nationalism and emboldened by Trump’s 2016 presidential victory. In August, a one-year anniversary rally in Washington drew just two dozen participants amid thousands of counterprotesters. Fields was photographed hours before last year’s attack carrying a shield with the emblem of a far-right hate group, although the group later denied he was a member. Jurors will hear from victims and see photos and videos depicting the incident, when Fields’ speeding car sent bodies flying through the air. His case is being heard by a jury of nine women and seven men, including one African-American juror; four will be designated as alternates at the close of the trial, which is expected to last up to three weeks. Fields has also been charged with federal hate crimes and pleaded not guilty.